The occurrence of Ramaḍān along with the beginning times of ʿIshā’, Maghrib and Fajr prayers during summer leads to confusion for some Muslims living in Europe and North America, and of course, given that the accuracy of prayer times is ever more sensitive during Ramaḍān, it is important for the Muslim community to confirm the correct time for commencing fasts. This article will discuss the starting times of the fast, known to some people as sehri, suḥur, or imsak. It will also recommend a time for the ʿIshā’ prayer as well as the Tarawīḥ (night prayer) during the holy month. When is the Fajr prayer? The Fajr referred to in the ḥadīth is the true Fajr: al-Subh al-Sadiq. Samrah ibn Jundub related that the Prophet (sall Allāhu ʿalayhi wa sallam) stated, “The vertical light (al-Fajr al-Mustateel which is the false Fajr) should not prevent you from eating (Sahoor). You can eat and drink until the light appears to spread (al-Fajr al-Mustateer – the true Fajr). How do we decide on how to ascertain the correct time for Fajr? 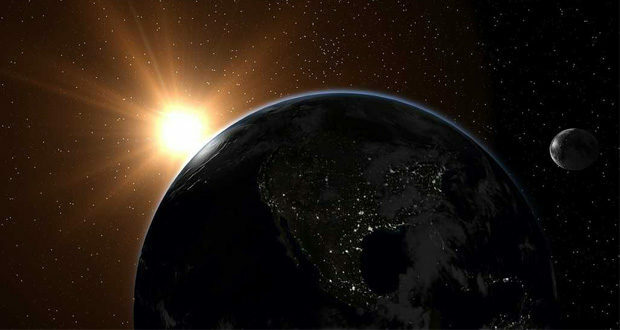 Although most scholars agree on both the Shar’ῑ signs given in the divine text concerning the start of Fajr, they disagree on how to interpret the Shar’ῑ signs as actual astronomical phenomena. And even when an interpretation is decided on, scholars differ on how to deal with fasting and the five daily prayers due to the abnormality in the timing of prayer during summer in Europe and North America. After confirming the Shar’ῑ sign for the start of fasting and the Fajr prayer, how do we decide on al-Subh al-Sadiq in actuality? Is it when we, either as individuals or as single communities, actually see it (Mushāhadah) or merely when we confirm that the actual astronomical phenomenon takes place even though it has not been seen? If it is when the astronomical phenomenon actually takes place, how do we decide that it definitely has done so? The verse establishes that prayer times are linked to actual astronomical phenomena rather than seeing it with the naked eye – this in contrast to the ḥadῑth concerning the start of Ramaḍān which is linked to the notion of physically sighting the moon and not depending on astronomical actualities. The Prophet (sall Allāhu ʿalayhi wa sallam), “Fast when you see the moon and cease your fast when you see the moon.” It is the consensus of classical Muslim scholars that astronomical calculations cannot be used as a replacement for actually sighting the moon (for Ramaḍān) with the naked eye. This is the difference between sighting the moon, which is needed to confirm the start of the month of Ramaḍān or Hajj, and the sighting of the twilight which is used to decide prayer times. 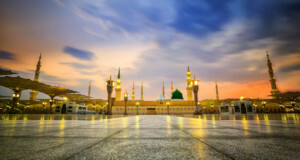 It is with this in mind that we may conclude that an individual’s Mushāhadah for prayer times must not negate the accepted criterion that was originated by global and widespread mushāhadah (of when twilight occurs and disappears) established in different countries and throughout the centuries. That criterion is the basis for the decision of both Muslim jurists and astronomers that Fajr should be calculated when the sun is at 18 degrees below the horizon for Fajr, and either 17 or 18 degrees for ʿIshā’. It should be noted that the slight choice offered for ʿIshā’ times is insignificant and thus there is no need to discuss it here. Many scholars at different times throughout the course of history, and in many different regions of the world, have sighted (with the naked eye) the Shar’ῑ signs given in the divine text and calculated that it corresponds with 18 degrees below the horizon criterion, a fact that they have then recorded. Given that so many scholars from different places of the world and at different periods during the last thousand years have come to produce the same calculation lends overwhelmingly more weight to the 18 degree formula than a few people gathering in one part of the world during the same period to come up with a divergent opinion. This is not a matter of differences amongst schools of thought as the overwhelming majority of scholars amongst various sects and schools of thought agree with the 18 degree formula. I have recently discussed the issue with Mufti Taqi Uthmani (in the company of other scholars) who stated that he himself along with 99% of the scholars of the Indian sub-continent viewed the 18 degree formula to be the correct calculation for prayer times. What is the correct Mushāhadah for Fajr? Muslim astronomers as early as Mohammed ibn Jabir ibn Sinan, famously known as Albategnius (d. 929 CE), confirmed that Fajr and ʿIshā’ Shar’ῑ signs are visible when the sun is 18 degrees below the horizon. Other scholars stated that there is a consensus in regards to this conclusion. Among the very last conferences at which this issue was discussed thoroughly was the one organized by the Fiqh Council of the Muslim World League in 1986 where scholars and astronomers from various backgrounds and schools of thought confirmed that Fajr appears when the sun is at 18 degrees below the horizon in the east. They also confirmed that ʿIshā’ time appears when the sun is at 17 degrees below the horizon from the west. This decision was reiterated by the same fiqh council in 2007 in response to a query sent to the council by the central Mosque in Belgium. * ISNA traditionally held the latest Fajr time due to an adopted angle of 15 degrees. But in September 2011 they revised their position to 17.5 degrees which is more or less in line with the rest of the World. ** It has been widely attributed to them to hold the position of 19 degrees which is even earlier Fajr or a position of 90 mins after Maghrib for ʿIshā’. Although in using calculation of 18 degrees the times for Fajr are virtually the same in Makkah which indicates that the 90 minute position is in effect the same as 18 degrees and due to its equatorial position this does not change much at all throughout the year. As you may see from the timetable, most of these institutes consider 18 degrees as the minimum degree for calculating Fajr time. The Hizbul Ulama timetable is one that has been adopted by a number of mosques around the UK including the recent ‘Unified prayer timetable for London’ adopted by East London Mosque and Regents Park Mosque. The fact that these organisations have sought to unite the Muslim community is an extremely praiseworthy matter, indeed unity is one of the most important factors that leads to the strengthening of the Muslim community and I commend them for their sincerity. However, I sincerely believe that the Hizbul Ulama have overlooked many important fundamentals such as being unable to identify the main criterion for deciding prayer times – they mistakenly assume that it is through individual Mushāhadah. As a result of this, they have never compared their Mushāhadah with the Mushāhadah of others both within the UK and outside of it. They have opposed the overwhelming number of jurists and contradictorily claim that last year’s Mushāhadah may be used for this year whilst maintaining that an individual may only pray when he himself has seen the Shar’ῑ sign! According to the Hizbul Ulama timetable, the length of the Maghrib twilight in winter is either equal or longer than that of summer when it is well known that summer has longer days. Similarly, their timetable posits that the length of the twilight in London is almost the same as that of Makkah although London is of high latitude (L 51° 30) whereas Makkah al-Mukarramah is of much lower latitude (L 21° 25). It is examples such as these (of which there are more) that simply demonstrate the unreliability of the Hizbul Ulama methodology in ascertaining the correct prayer times. No one can claim that one should merely follow the textual evidences since the issue is related to interpretation. It is true that some individuals might not be convinced with a particular conclusion, yet it would be destructive to the deen of Allāh to leave it to individual choice. The Muslim is obliged to abandon many of his own conclusions for those agreed upon by the consensus of the scholars which is invariably based upon the Qur’ān and Sunnah. Indeed, an individual might adopt a particular conclusion himself, but he should not instruct others to abandon the mainstream Islamic opinion for his own personal conclusion. I appeal to committees of mosques not to conclude on any matter which is divergent from those adopted by the overwhelming majority of Muslims. The basis for this is the authority given by the sharῑʽah to the consensus of Muslim scholars. The Prophet (sall Allāhu ʿalayhi wa sallam) stated that his Ummah would never agree on an error and thus the minority opinion cannot stand against the vast majority where the overwhelming majority is in fact equivalent to consensus. 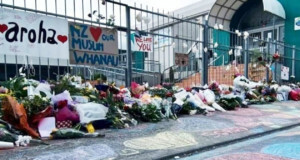 Why shouldn’t individuals follow their own mosques? Individual acts of worship are matters that a person will be questioned about, and those acts of worship that are not linked to other Muslims are not included in acts of worship that a person can give up for the sake of unity or to merely blindly follow others. Although people should pray in congregation at their local mosques, the start of fasting is not connected to the timing of the local mosque. Therefore, the person should exert effort to identify the correct position that will free him from any burden on the Day of Judgment. What about the issue of tabayyun? The overwhelming majority of classical scholars adopted the 18 degree calculation for Fajr and 17 or 18 degrees for ʿIshā’, and for this reason there is no real disagreement that might be used as a justification for Ijtihād or adopting the easiest option. Moreover, Tabayyun should take place when we are not quite sure whether the light of Fajr is apparent. However, those who adopt the 18 degree formula are certain of the appearance of the Fajr light and thus Tabayyun is achieved without adopting a lower degree. What about ʿIshā’? What can we do during the summer period when the twilight persists? 2) Adopting the time of the last day when the Shar’ῑ signs were visible. Estimation creates a big gap between the last day the sign is visible and the day after. Similarly, it creates a big gap between the day the signs are not visible and the day after. The only consistent method is adopting the time of the last day in which the sign was visible all the way up until it becomes visible again. This is a systematic method in which no large gaps are witnessed between different days. Praying ʿIshā’ at its time according to 18 degrees is the best scenario that should be adopted as long as the time falls before the middle of the night (midway between Maghrib and Fajr). However, since the sharῑʽah stipulates that certain forms of hardships allow for some concessions, praying ʿIshā’ before the time obtained is a form of combining prayers that some scholars have allowed in cases of hardship and necessity. It is known in the Sharῑʿah that the rigorousness applied to Fajr, Zhuhr and Maghrib is not like that of ʿIshā’ and Asr as their times merge with Maghrib and Zhuhr respectively in cases of necessity. We should pray ʿIshā’ before the middle of the night and long before Fajr in order to avoid combining it with Fajr. If the best scenario cannot be followed, I suggest that ʿIshā’ be prayed at the latest time people can pray it without hardship, such as 11:00 p.m. This time should be maintained until the time returns to earlier on in the day. In regards to Ramaḍān, Tarawīḥ or Qiyam al-Layl (including the Witr), it should be prayed after the ʿIshā’ prayer and finish at a time that allows for people to have the predawn meal. Having written this and respectfully disagreeing with others, I urge all to maintain the Islamic etiquette of differing. We should not allow such differences to disunite us or place enmity in our hearts. May Allāh keep us united, keep our hearts pure, and forgive our shortcomings. For a prayer timetable for any location in the world visit Islam21c’s Prayer Times Calculator. Narrated by Abu Hurairah and Abdullah b. 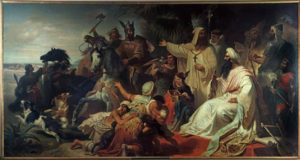 ʿUmar; al-Bukhārī and Muslim. Next: What are Turkey’s snap elections really about? The sheikh is sadly in error with this particular subject and it’s a shame that he is still unable to see it. Not only is he incorrect in his opinion, but by continuing to propagate it he is causing a great fitna in the community. I have much respect for sheikh Haitham, but in this he has made a substantial error of judgement. The explanation and solution to this controversy is very simple, and can be explained easily by factual science and by the Quran itself. There are three recognised ‘dawns’. Each is a separate stage of dawn. 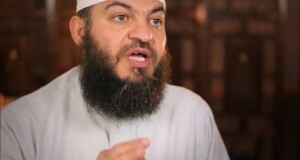 The first is the Astronomical Dawn, which Sheikh Haitham is proposing we should be using as our time guide for fasting. The second stage is the Nautical Dawn, which can be seen on the horizon as a clear line of light against dark, as we find described in the Quran in 2:187. The third stage is the Civil Dawn, which is when the whole sky becomes lighter, what is popularly known as ‘twilight’. This indicates that we should be able to see clearly with our naked eye a sign in the sky of a distinct white ‘thread’ against the black. Unfortunately I’m unable to post a picture but if you search for a picture of the Nautical Dawn, you will see it is clearly what Allah is describing to us, and this sign of a clearly visible white thread against black is absolutely not present at the time of the Astronomical Dawn. It is Allah’s COMMAND that we follow this clear sign as our guide to beginning our fast. And this Nautical Dawn is the time guide that masjids around the world currently follow and have followed since the ayah was revealed. It is perfectly possible to calculate the time for the Nautical Dawn for the benefit of countries that do not have clear horizons to view it, and for the benefit of convenience. Allah has made the Quran easy to understand and His ayat are clear. Haitham Haddad is causing fitna by dividing the Muslims rather than uniting them under what Allah has already instructed in Surah al-Baqarah, ayah 187. Sure, there is always some lightness the more north you go, but when the sun begins to rise and the white line appears, it’s very clear in UK at least. In London, I clearly observed nautical dawn (when the whiteness appeared near the horizon as a line against the darkness) at 3:10am, while Haitham’s calculation says 1:08am!! * the interval between fajr and shurooq is so long, how can people possible expect to stay in masjid for hours until sunrise for the huge reward during this period?? i.e. the huge reward of sitting remembering Allah between fajr and sunrise – and then getting up after sunrise to pray 2/4 rakah, etc. * when are people (men especially) possibly expected to eat when they’re in the masjid for isha and taraweeh from 11pm to 12:30am (minimum) or 1:150am (when our masjid finishes taraweeh)?! SubhanAllah, I feel sorry for the fitna this has caused between husbands and wives and divided families and massaajid even further!! Interesting argument. However, the 18 degrees is applied everywhere else in the world including Makkah, majority of scholars agree to its accuracy, on what basis do we change that? Just because it seems inconvenient during few months? Are you aware of any reputable scholar who rejects the 18 degrees and suggests something else? Unfortunately this article inflicted fitnah into my house. My wife now wants to follow this timetable and I try to follow Unified London Timetable. We argued this for a year and could not come to any conclusion. Even our parents got involved because of this. We already have saiddone irreversible things to each other and now the our marriage is in danger. (Because eventually our differences extended beyond prayer time table.). And I don’t even know what my children will follow when they grow up. If they all end up following different shaikhsimams I would not be surprised. Now Allah knows the best, but the way this article is written and presented to muslims can not be correct. Imamsshaikh have to come to conclusion and only after than they have to share it with community. Otherwise the harm that they are doing is far more than the good. “We are an unlettered nation (ummah). We do not write nor do we calculate.” This ḥadīth can be found in Ṣaḥīḥ Bukhārī (1814), Ṣaḥīḥ Muslim (1080), Sunan Abī Dāwūd (5319), Sunan al-Nasā’ī (2451), Musnad Aḥmad (5017,5137,6041, and 6129), and Muṣannaf Ibn Abī Shaybah (3:85). The ḥadīth is ṣaḥīḥ, and as is apparent from the above-mentioned citations, is mentioned in authentic sources of ḥadīth with sound, unbroken chains of transmission. The birds Singing are an indication of true Fajr and coincide with 7th part of night. Many Muslims today follow calendars with difference in Fajr time of about 2 Hours according to their calculation method even though it is completely dark and cannot be judged with the naked eye or hear birds singing. They are like those who are heedless of Allah’s signs. Islam is the natural religion and the universal religion in nature. A blind person who does not see the Sun rising can still hear the birds Sing. A deaf person can see the Dawn approaching and an unlearned person does not need to rely on calculations to hear the cockerel crowing, birds singing and the Dawn approaching. Muslims of today have disregarded the Hadiths and based their Timetables according to calculations rather than their faculty of Sight and Hearing. Today, I observed that one Calendar stated Fajr in London at 1:18 a.m using angle measurement whereas another timetable stated Fajr time in London at 3:43a.m using the 7th part of the night rule. The seventh part of night rule coincides with the birds singing at 3:53a.m and some light barely appearing in the horizon so it indicates true Fajr as stated in the Hadith about the White thread of dawn being distinguished from the black thread of the night. Praying Fajr at 1:18a.m would be unjustified because outside is pitch black and there is no sign of dawn with the naked eye. Also Allah(SWT) did not make us with telescopic vision. Similarly beginning and end of Ramadhan is based on sighting of crescent moon. It is based on local time and not universal time. Therefore we don’t base Ramadhan on moon sighting in another part of the world because there is a difference in the time zone. Fajr in Australia does not coincide with Fajr in London. The Azan goes around the world 24 Hours a day due to this phenomenon. Also the world is round and not flat, so it is impossible to see the crescent moon from all parts of the World at the same time. The Qur’an specifically mentions a ‘visible crescent’ (Ahilla) as “Mawaqeet” for determining the beginning lunar Islamic month (2:189). 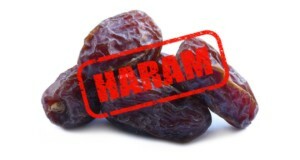 All agree that the Hadith :”Do not fast unless you see it…” (Bukhari, etc.) is how the Messenger (S) put this Qur’anic injunction into practice. All the Fuqha agree that the sighting of a crescent (Hilal), or the completion of 30 days of the previous lunar month (29/30 days Hadith) determines the beginning of an Islamic month. However, they disagree on details. If a crescent is sighted in one town but not at another place Muhadditheen, on the authority of the Kuraib’s Hadith (Sahih Muslim, Tirmidhi and 3 other Sihah) are unanimous that every town must follow it’s own sighting. Tirmidhi quotes consensus (Ijma’) on this position. Earlier Hanafi, Maliki and Hanbali Fuqaha say that all the Muslims who come to know about it must follow the earliest sighting for Ramadan and Eid al-Fitr. This position was for towns in close proximity from each other (usually, for distances when one was not considered a traveler i.e. up to 48 miles). For longer distances all were unanimous that each town abides by its sighting. Shafi’i and later Ahnaf say that each town must follow it’s sighting. Based on the examples mentioned, it is clear the faqihs of the four schools are in agreement upon not considering the sayings of the astrologers, astronomers, and/or mathematicians for determining the beginning and ending of the month of Ramadan. Moreover, some of the faqihs conveyed the scholarly consensus on that ruling. The reliance is on sighting the crescent or completing thirty days of Sha^ban as mentioned by a countless number of faqihs among these schools. The one who looks through the summaries of the books of fiqh, not to mention the lengthy ones, ascertains this result. The one who follows the mass of the nation succeeds and the one who strays, strays to Hellfire. There are many Hadith indicating that it is wrong to favour calculations over your Senses and yet many Muslims blindly follow Calendars and Timetables disregarding the many Hadith which indicate to follow your senses. Islam is not meant to be a burden on people but is the natural religion and comes naturally. Everyone is born in the Fitrah of Islam and the natural inclination to do correct worship in the one Allah(SWT) but then are misguided into false worship by others with things that do not come naturally. Therefore follow your heart and Allah(SWT) will guide you. Religious knowledge is decreasing and religious ignorance is widespread which are one of the signs before the day of Judgement as foretold by Prophet Muhammad(SAW). The Muslim Ummah will break up into 73 sects, 72 will be in HellFire while only 1 sect which followed the Prophet(SAW) will be in Heaven. Those who introduce BIDDAH ( innovations in the way we practice the religion by adding things which did we’re not practiced during the time of the Prophet like CELEBRATING birthdays or Using calculations to determine Ramadhan are clearly BIDDAH) will be lead to the hellfire and mislead others. We must strictly adhere to the Sunnah of the Prophet(SAW) if this Ummah is to survive and not be humiliated as a result of negligence. The prophet(SAW) advised us to stick to the Quran and the Sunnah and you won’t go wrong. I hope that I have InshAllah given you and others good advice, Ameen! عن أبي نجـيـج العـرباض بن سارية رضي الله عنه ، قال : وعـظـنا رسول الله صلي الله علية وسلم موعـظة وجلت منها القلوب ، وذرفت منها الدموع ، فـقـلـنا : يا رسول الله ! كأنها موعـظة مودع فـأوصنا ، قال : ( أوصيكم بتقوى الله ، والسمع والطاعة وإن تأمر عليكم عبد ، فإنه من يعــش منكم فسيرى اخـتـلافـا كثيرًا ، فعـليكم بسنتي وسنة الخفاء الراشدين المهديين عـضوا عـليها بالـنـواجـذ ، واياكم ومـحدثات الأمور ، فإن كل بدعة ضلاله ). The Messenger of Allaah (sallAllaahu alayhi wa sallam) gave us a sermon by which our hearts were filled with fear and tears came to our eyes. So we said : “O Messenger of Allaah ! It is as though this is a farewell sermon, so counsel us”. I counsel you to have taqwaa (fear) of Allaah, and to listen and obey [your leader], even if a slave were to become your Ameer. Verily he among you who lives long will see great controversy, so you must keep to my Sunnah and to the Sunnah of the Khulafaa’ ar-Raashideen (the Rightly Guided Caliphs), those who guide to the right way. Cling to it stubbornly [literally: with your molar teeth]. Beware of newly invented matters [in the religion], for verily every bid’ah (innovation) is misguidance. It was related by Abu Dawood and at-Tirmidhee, who said that it was a good and sound Hadeeth. Also, in al-Bukharee, “The best of the people are my generation, then those after them, then those after them…” This is also reported by Muslim, Abu Dawood, at-Tirmidhee, An-Nasa’ee and others. The Prophet (saws also said, “…and my Ummah will divide into seventy-three sects.” [Abu Dawood, at-Tirmidhee, Ibn Majah, al-Hakim, Ahmad, authenticated by at-Tirmidhee, al Hakim, ibn Taymeeyah, as-Suyootee, al-Manawee, ash-Shatibee, adh-Dhahabee and al-Albanee]. And surely this your religion is one religion and I am your Lord, therefore be careful (of your duty) to me. But they cut off their religion among themselves into sects, each part rejoicing in that which is with them. Verily the people before you from the People of the Book split into seventy two sects, and this religion will split into seventy three; seventy two are in Hell and one is in Heaven and it’s the group (Al-Jamaah). It is a sign of the End Times that some Muslims will follow the example of heretical Jews and Christians and imitate them blindly. Follow the Quran. Throw away your timetables and start your fast when the first thread of white light appears. It is an unambiguous commandment at latitudes where there is pitch darkness in summer. In most of the England that is the case. Islam for the most part is a simple religion. This is an authentic hadîth related in Sahîh Muslim. This hadîth outlines the times of the five obligatory daily prayers. The phrase “before the rising of the Sun” refers to the Fajr prayer and “before the setting of the Sun” refers to the `Asr prayer. These, then, are the verses that refer to the times of prayer. The Sunnah gives us the times of prayer in precise detail. The Prophet (peace be upon him) was approached by Gabriel who said to him: “Stand and offer the prayer.” He prayed the Zuhr prayer at the time when the Sun began its descent from its zenith. Gabriel approached him again at the time for the `Asr prayer and said: “Stand and offer the prayer.” He prayed the `Asr prayer at the time when the shadow of every object was equal to its height. Then Gabriel came to him at the time of sunset and said: “Stand and offer the prayer.” He prayed the Maghrib prayer at that time. He offered the `Ishâ’ prayer at the time the light disappeared from the horizon. The angel came to him for the Fajr prayer at the first light of dawn. On the second day, Gabriel approached him again for the Zuhr prayer and said “Stand and offer the prayer.” He prayed the Zuhr prayer at the time when the shadow of every object was equal to its height. Gabriel approached him again at the time for the `Asr prayer and said: “Stand and offer the prayer.” He prayed the `Asr prayer at the time when the shadow of every object was equal to double its height. Then Gabriel came to him at the time of sunset and he offered the prayer at the same time he did before. He approached him again for the `Ishâ’ prayer after a half of the night [or maybe a third of it] had passed and he offered the prayer. Then Gabriel came to him at the time the sky had turned very yellow and said “Stand and offer the prayer.” Then he offered the morning prayer. The two hadîth show us that the time for the Zuhr prayer begins when the Sun begins its decline from its highest point in the sky and extends up to the time that the shadow of an object is equal to its height. The time for the `Asr prayer begins when the shadow of an object reaches its height and the end of it preferential time is when the Sun turns yellow in color. This method of observing the times of prayer can be used regardless of the hours of daylight and does not require calculations even if you live in a high place. Furthermore the birds can be heard during the time of Fajr & Maghrib indicating the correct times of the prayers. As the time draws nearer in your area, the birds singing gets louder. The birds truly devote their praises to Allah (SWT) in all weathers and hardships, night and day. When Prophet Dawood(A.S) sang (The Zabur- Psalms) the praises of Allah(SWT) he had such a beautiful voice that the birds would fall out of the sky. 17 Have patience at what they say and remember Our Servant Dawood, the man of strength: for he ever turned (to Allah). 18 It was We that made the hills declare in unison with him Our Praises at eventide and at break of day. 19 And the birds gathered (in assemblies): all with him did turn (to Allah). 20 We strengthened his kingdom and gave him wisdom and sound judgment in speech and decision. 10 We bestowed grace aforetime on Dawood from Ourselves: “O ye Mountains! sing ye back the Praises of Allah with him! And ye birds (also)! And We made the iron soft for Him. CNN sent a team to report on this subject verifying the truthfulness of this adhan flower phenomenon. This flower blooms at the exact time of each of the 5 prayers (evening, days, or night), as indicated in the report. Glory to Allah, the greatest. Referring to the Hadith above this is where the evidence that the Scholars of Fiqh differed in their opinions. This is ment by ‘the earth was well-lit’ is towards the ending of Fajr just a little bit before the time of Sharook where most of the sun light starts to show. Undoubtedly Abu Hanifa has based his opinion on an authentic Hadith, but the Majority such as Malik and As-Shaaf’ie and Ahmad choose the fist timings of the Prayer that was revealed to the the Prophet (peace and blessings of Allah be upon him) by “Jibril (as mentioned above). The opinion of the Majority is the more revised because this assures that one Prays on time without the worry of the Prayer over lapsing its prescribed time. Also delaying the Prayer of Fajr and Asr to the time that is close to it ending is disliked because of the hadith narrated by Uqbah ibn Amir, that the Prophet forbade us from performing Prayer and burying the dead (praying over the dead) at 3 times: the rising of the sun, nor at its stationary point at midday, nor at its setting.` (all 6 sound compilations except Bukhari). Allah has enjoined upon His slaves five prayers throughout the day and night at specific times decreed by the wisdom of Allah so that the slave may be in contact with his Lord in these prayers throughout all of these times. They are for the heart like water for a tree, given to it time after time, not all in one go and then it stops. Part of the wisdom behind doing the prayers at these times is so that people will not get bored or find it too difficult, which would happen if they all had to be done at once. Blessed be Allah, the Wisest of judges. (From the Introduction to Risaalat Ahkaam Mawaaqeet al-Salaah (Essay on the Rulings on the Times of the Prayers) by Shaykh Muhammad ibn ‘Uthaymeen, may Allah have mercy on him). Practical way of knowing when the time for Zuhr has ended: go back to the stick or pole which we described above. Let us assume that its length is one meter. We will notice that before the sun reached its zenith, the shadow decreased gradually until it reached a certain point (make a mark at this point), then it started to increase, at which point the time for Zuhr began. The shadow will continue to increase, falling towards the east until the length of the shadow is equal to the length of the object itself, i.e., it will be one meter long, starting from the point marked at the zenith). As for the shadow before the mark, that is not counted, and it is called fay’ al-zawaal (the shadow of the zenith). At this point the time for Zuhr ends and the time for ‘Asr begins straight away. A sundial can serve the same purpose. Answer: if you want to calculate when midnight is, then calculate the time between sunset and sunrise then divide it in half; that halfway point is the end of the time for praying ‘Isha’ (and that is midnight). So if the sun sets at 5 p.m., and Fajr begins at 5 a.m., then midnight is 11 p.m. If the sun sets at 5 p.m. and Fajr begins at 6 p.m., then midnight is 11.30 p.m., and so on. Basically, the wife should follow the husband, even though she may be right and he may be wrong. There is also a fatwa on islamqa about the matter of a wife following a particular madhab, and the husband following a different madhab. SubhanAllah, madhaahib – another great source of fitna and division between Muslims! (it was fine for that time and place, but not any more). ISNA has switched from 15 degrees to 17.5 for Fajar! The article needs a slight correction and a reference adding. I had to do some research and had to look at this unfortunatly, because sadly all our Shaiks differ, Allah forgive us and unite us as brothers! Civil twilight is defined when the sun is 6 degrees below the horizon. This is the limit at which twilight illumination is sufficient, under good weather conditions, for terrestrial objects to be clearly distinguished; at the beginning of morning civil twilight, or end of evening civil twilight, the horizon is clearly defined and the brightest stars are visible under good atmospheric conditions in the absence of moonlight or other illumination. In the morning before the beginning of civil twilight and in the evening after the end of civil twilight, artificial illumination is normally required to carry on ordinary outdoor activities. Nautical twilight is defined when the sun is 12 degrees below the horizon. At the beginning or end of nautical twilight, under good atmospheric conditions and in the absence of other illumination, general outlines of ground objects may be distinguishable, but detailed outdoor operations are not possible, and the horizon is indistinct. Astronomical twilight is defined when the sun is 18 degrees below the horizon. Before the beginning of astronomical twilight in the morning and after the end of astronomical twilight in the evening the sun does not contribute to sky illumination; for a considerable interval after the beginning of morning twilight and before the end of evening twilight, sky illumination is so faint that it is practically imperceptible. A new approach an old problem. Crack of Down (Astronomical) #VALUE! I am not sure what is the benefit of repeating this erroneous view again? The article suffers from logical mistakes, mis-understanding of the science behind the phenomenon under discussion and inaccurate claims about Hizb positions. There is no justification for propagating this bad advice. It will just cause more discord, confusion and misery. If someone can explain to me how you can travel to the mosque, perform 4 sunnahs, pray 4 rak’ah isha in jama’ah, pray 2 sunnahs, pray 20 rakaat of taraweeh, pray 3 witr, travel home and then eat suhoor ALL in 70 minutes – I will accept this calculation. Otherwise it is just not feasible. Allah does not burden us more than we can bear and, frankly, no human being can achieve the feat I have just described. Don’t come and say to me “oh taraweeh is only sunnah” because that is not the point – the point is that Allah has created the Earth with different proportions of sunlight, so to use one calculation throughout the planet is not balanced. For example, the North pole has 6 months day and 6 months night – how do you fast there?! And in some places it is night for only an hour or so! Us laymen who has to accept one of these opinions which maybe wrong? There will be no unity if the scholars do not come to an agreement regarding the most basic fundamental issues such as process of halal/haraam and fasting timings. Please accept my opinion in good faith. May I request the sheikh to kindly provide the evidence of Sharii Ijmaa on this particular matter as he has claimed. In fact the claimed “ijmaa” on 18 degree is nowhere to be found in history except statements and claims of a few people that are not jurists or scholars. There is no proof presented in this article that these people were eligible to participate in the claimed sharii ijma. There is no evidence either that these people actually declared their observations and conclusions to form a sharii ijmaa (rather than a loose everyday consensus). It is completely absurd to generalise their observations and claim there is a sharii ijmaa on the matter when there is none. Such statements should be avoided by the learned people like sheikh Haitham. It must be noted that this particular issue (18 degree criteria for fajr) is not a religious matter but more of a scientific problem. Therefore the majority opinion of expert scientists should be listened to rather than purely religious scholars. Has the sheikh stopped to consider what is the scientific consensus of experts in the field in UK and Canada on this matter! The biggest flaw in this argument is not even scientific one but a logical one. As noted by others all these observations that sheikh has claimed to form an ijmaa were made by people living near equator. In particular none of these people lived in the countries or areas where he is applying their conclusions. Clearly it is a scientific mistake to make a location-dependent observation at location A and apply it at location B where B is far away from A. I am disappointed to see such fallacious reasoning by learned scholars. Furthermore the whole argument falls flat when one looks at the preferred time table ([url]http://astro.ukho.gov.uk/websurf/[/url]) and software ([url]http://www.icoproject.org/accut.html[/url])linked with this article. There is a clear defect in this timetable as all the calculated times for fajar in June and most of July are capped at 1:15. Has the sheikh and those who are supporting him blindly in this matter asked why is there such blatant discrepancy? Even the linked “Accurate Times” software fails during these dates as can be verified by anyone. I suspect the sheikh has initially made this mistake due to bad advice from other students and advisers who are thinking without employing much intelligence or consideration. May Allah protect and forgive him and allow him to re-consider his flawed views regarding this issue. But it is disappointing to see that the same article is repeated year after year. It would be a sign of arrogance if one persists in his flawed reasoning. Allah does not like arrogance. May Allah keep us away from the fitna. This is a somewhat over complicated article on what is essentially a simple matter. There were no advanced astronomical instruments at the time of the prophet pbuh and clearly the advise given was intented to make things as simple as possible. I think its about time we went back to basics and followed the hadith in spirit and not just to the letter. I think what Sheikh Haytham is pointing out here is that, if for generations it has been established that an 18 degree angle for ‘Fajr’ has been agreed upon, then, even if some individuals disagree with this, the overwhelming majority need to be listened to, and not a small band who believe (however sincerely) what they are doing is correct. This method is one that has been adopted by the scholars throughout history – and yes, just as we have narrations of singular or minority opinions that came from a certain generation, we have found with the passing of time, this opinion never broke into the masses since it could not break down what most scholars agreed upon. This is in reality what is the dictating factor of the religion – not what one or two scholars have said here and there. We have Mufti Taqi agreeing with the Sheikh about the 18 degree angle (as he mentions in the article). Plus the religious authorities in Saudi, Pakistan and Egypt also stating the same. It would take a bold man to say that they are all wrong and they have ‘misunderstood’ the real matter at hand. It would taken an even bolder man to say that they scholars of the past (all/most of them) were wrong with the 18 degree angle just because of a few calculations we have done (now) – which is a misunderstanding the issue in the first place. With all due respect to the Hizb Al-Ulema – they have approached the issue of ‘how a prayer time comes in’ by stating that it is a matter that ‘has to be seen’ – rather then the fact that ‘the prayer time has come in’ when certain signs have taken place (weather it was witnessed or not). Seeing it or not does not dictate its ‘entry’. This is opposite to ‘moon sighing’ which ‘has to be seen’ for the month to start (ironically, something people are leaving in the modern day). All of this the Sheikh has explained in the article. Is Shaykh a Member of HT? Is shaik Haddad a member of HT. If not, which I sincerely hope he isn’t, why did he give a speech at the HT conference? This is an intriging topic, one must ask who, naming names, supports either side as we need to see the level of consensus on either side, and I mean across the Muslim world, in particular Egypt, India, Pakistan, Malaysia and to some degree Saudi (perhaps there is too much uniformity and too little expertise on such issues in Saudi). Csn anyone drop some names that AGREE with the shaikh? Btw I am not from TJ but I love the name. I have tried to look into the matter (from a lay man perspective which I am) and have come across the following resources that I think are very useful. It will take you approx 15-20min to look through both sites and make up your mind…. this article explains why fixing a degree to sub saadiq with be incorrect. I am assuming you have already read Shaky Haithams (hafidhuallahs) article. Finally I think we really need to get out and make some observations ourselves if we are confused. I would also like to thank the Shaykh.. remember even if he is incorrect Allah rewards him for his opinion. I would just like to point out the flaw in your argument against the hizbululama timetable based on mushahadah. Despite what you say about winter gap beinglonger than summer this is not true of the hizb timetable. If you look at the record of obseravtions these show that winter length for twilight is around 1.5 hours whereas in summer the recorded time for First light is 3 hours. Also, the length is not similar to Saudi either. What you are comparing is not like for like. You are looking at the timetable construction which is based on the use of first light and tabayyun times switched in summer and winter. As such your arguments are completely flawed. Please seriously consider re-writing the article as it is not correct. I will send you the observation record separately for you to study as it seems you have not done so. Having said that I am very pleased you start off with a statment on tolerating differences. Recently some scholars have been using abusive language against other scholars and this clearly is wrong. There is clearly significant confusion re the start of Fajr and Esha time which leads to confusion and fitnah in the community. However, there is some good in this. The scholars and major Islamic institutions may now feel the pressure from their congregations and students. This in turn may lead to an agreed upon timetable for next Ramadan – inshaalah. As a community we tend to be reactionary and we often need to feel some pain first before we are mobilised into action. I completely agree with comments by Ramem and Abu Rumaysa (go out and check with your eyes!). As Allah(swt) says, start fasting when you _SEE_ the white thread (dawn) becomes clear to you from the black thread (night) – Qur’an 2:187. The 2:30am fajr time appears to be completely flaud and I’m shocked Hatham al-Haddad has yet again made such an error in judgement. I live in Hertfordshire (away from light pollution of London) and on the 2nd August 2011, I observed the whiteness of dawn become distinct at 3:50am – but more so at 4am. Why didn’t the sheikh use the eyes Allah(swt) has blessed us with?! Please check out moonsightingcom, calltoislam for opposing view – prayertimes. Brother, the fact that a major mosque states fajr is at a given time, does NOT serve as an excuse for you/me to stop suhoor at their timings. We are individually responsible for our fasts respectively. Just because some major mosques have opined to a given time for Fajr/imsaak, is not a sufficient basis for individuals to feel their fast is safe when that means going against the overwhelming majority of classical scholars – some of whim cited a near consensus on the issue. The easiest option brothers and sisters, is to err on the side of caution. When you know that the criteria of the mass majority of classical scholars was the one advanced by the Shaikh, just syop the fast slightly earlier (with the time suggested). That way you are certain of correct suhoor. You don’t need to pray fajr until jamat time when the time has defintiely come in (ie the latest time). As for Isha – as the shaikh said, there’s some flexibility there inshallah. But at least just err on the side of caution for your suhoor – take the early time. And pray fajr once you are sure it’s in (the later time). And read Quran/make dua in that time! considering that the article mandates a later time for Ishaa, is there ANYWHERE in London, that actually follows this timetable so that I can join Ishaa in congregation and not miss some/all or taraaweeh??? Most places have adopted the unified timetable where Ishaa is more than an hour earlier than the timetable in this article. Jazak Allah khair Sheikh for your advice. However, I am left feeling extremely confused now as to what to do and whom to follow – having contacted one of the main mosques for further guidance three times in the past 2 days, I have only been advised that the Unified timetable is absolutely valid – this has caused a tremendous amount of anxiety for fear of finishing Sehri late, and thus causing my & my family’s fast to be invalid. The technicalities of the calculations for the timings are complex, and for the majority of lay people such as myself – way beyond that which we can understand without some deeper study. Can there be some means of dialogue between the main parties in this issue to result in a truely unified timetable?? I think everyone is lost in numbers and calculations etc. There is one simple test; Go out into the country side, far away from light pollution in the early hours and test every calendar and physically see dawn beginning. The Science being used is not being applied correctly. The Muslims in the UK need to carry out emperical testing, e.g. carry out some real world experiments to assess twilight times. The UK has been united under Hizbul Ulama’s Mushahadah for some time now, recently there has been alot of aggressive propaganda targetting Masjids which follow Mushahada in support of 18 degrees which is sowing disunity and creating Fitnah. 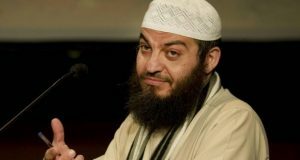 Shaykh’s article timed at the start of Ramadan and aimed at the mass readership adds to more confusion for British Muslims and does not help the issue of unity…. I am afraid the sheikh is speaking in a matter where he has no expert knowledge and therefore his conclusions are completely flowed. 18 degree formula was concluded by the scietists of the past all of whom lived near equator. This formula is not valid in summer times for countries that are further away from equator such UK itself. Using 18 degree formula results in abnormal times for fajr in june and july that sheikh has not even bothered to check himself. Anyone can check from the linked website (http://astro.ukho.gov.uk/websurf/) that 18 degree calculation fails in those dates. The Shaikh is wrong in a few important places. He is confusing people when he says people should not follow their local mosque – why not?? If someone has confidence in the decisions of their elders/Ulama, who are you to question that?? Shariah allows it, you can disagree. Also, the issue of tabayyun is not about being certain whether the light has broken or not. Like a typical zahiri, you are misunderstanding it by following the literal meaning of tabayyun, without understanding the technical usage of the Fuqaha. Loo at the books of fiqh – there is a clear difference amongst the Fuqaha about whether Fajr starts at first light or at the spreading of the light – ‘intishaar’ and ‘istitaar’ are al;so used. Shaikh should be careful of the language he uses when he is so ignorant of the Shariah himself. Allahu yahdeena, ameen. I read the very interesting article by Sheikh Haitham regarding the prayer timings and have had a look at the downloadable timetable. I was just wondering however, if the 18o method was used in calculating these times why do they seem to correspond at Ramadan Day 13 to timings calculated using the North American Islamic Society method which uses 15o? 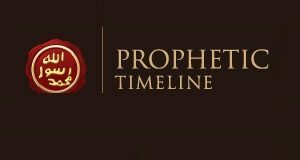 The reason I mention this is, the timetable on Islam channel’s website uses the North America method and it is identical to that on this website from Day 13 onwards. very interesting and informative.hope masjid committees take this on board. as regards to hizbul ulama study back in the 80’s it has errors and these need to be addressed for example the observed time for fajr does not always match the prayer time on the timetable.may ALLAH SWT guide and unite us all. as regards to ramadhan also i hope scholars would take a stand against hizbul ulama and highlight the errors in following saudi. All these questions that are raised due to this article need further answers. Please provide answers and suggestions. May Allah Ta Ala forgive us. 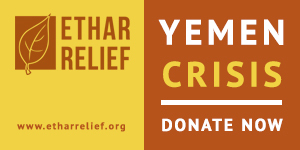 Jazakallah khairan shaikh for your efforts. and ask Allah ta ala(from my heart)by whom there is no other deity worthy of worship to hear my cry for justice on this matter and manny other issues on islam so that we can worship Allah ta ala as He The majestic and Sublime wants. May Allah ta ala forgive our shortcomings(those who realy seek justice and are sincere)and accept our deeds done for his sake only and grant us guidance and protection from the trials of life and death. Wa Alaikum salaam wa rahmatullahi wa barakatuh. Its surprising that the sheikh Is willing to oppose the mainstream evidence backed view based on his schools interpretation. Its correct for him to stand by his guns if he believes hes right, even if it goes against certain principles that would pertain to a situation like ramadan times in the UK, such a disputed topic. In fact this would be the perfect opportunity to stay silent or use the principles of “greater good”, istihsan, “lesser evil over greater evil” etc. Its a shame that He found so easily the use for these principles over all of the evidence in Quran and sunnah in other matters such as democracy and voting. Im not accusing anything here, I just believe that a man is affected by his environment, even a scholar and its something we see in others before ourselves, and I am much lower in my deeds than sheikh Haitham I do not doubt that. The easiest thing to do until then is follow your local imaam and community just to make things easy and prevent further division. Jazakallahu khairan shaykh for your efforts. This will have some practical implications such as not being able to attend for Tarawih prayers in most if not all the masaajid. Also probably will not be unable to attend qiyam al layl in the last 10-15 nights which many masaajid arrange for the local people. just when finally i had decided to follow the opinion of a respected scholar, this article cums up….this is very confusing for laypeople. What do you do when more than one scholar gives convincing arguments. Who do you follow? And they’re both trustworthy? 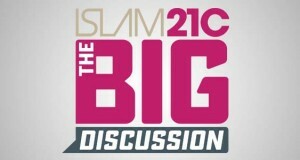 there are so many diff opinions out there right now, about fajr n isha, n they’re all backed by respected scholars…. Jazah Kallah Khair ya Sheikh for your analysis. My concern however is that this is only creating further confusion. Though you have given your reasons for why Hisbul Ulama UK are incorrect- they are not without evidence (http://www.hizbululama.org.uk/files/fazar_&_isha_times.pdf and http://www.hizbululama.org.uk/highlights/Why_18_Degrees.html and even quoting islam-qa and Sheikh Albani Rahimullah). The times given for Fajr differ by 1 hour from my local timetable and I am confused as to what is my best option. Once again I praise your efforts but suggest these should be in discussion with the scholars and you for the sake of unity work to change them and not the people as many will be left confused.